We are a small diversified farm the uses sustainable growing practices. 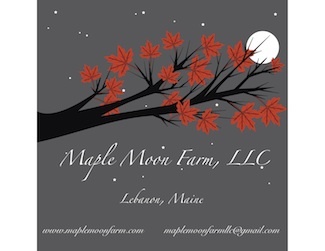 Maple Moon Farm includes a small commercial maple syrup operation as well as several hundred high bush blueberry plants, fruit trees, honeybees, wildflower plots, and free-ranging chickens. We also offer Airbnb rentals in our 1790's farmhouse, and host small weddings and other events. Summer: Kittery, Wells. Winter: Berwick.